paired with a history of successful case results. Speak with my firm today to find out what your case is worth. I'm in your corner. You shouldn't have to go through a divorce alone. My firm has the knowledge to aggressively protect your interests. Do you need the help of a lawyer in Kent County? When you need legal help, you need an attorney who will listen carefully and then do everything possible to get the results you deserve. As a Kent County attorney for over 20 years, I do exactly that for my clients. Getting a positive outcome on my client's behalf is my passion. I am dedicated to working closely with each and every individual whose case I take on. Many clients come to me requiring legal representation for issues that do not fall into just one area of law. That is why I offer counsel in a variety of practice areas. No matter how serious the offense, get in touch with the Law Office of Steven J. Hart. With years in the field, successfully handling complicated cases time and again, I am here to help you. Whether it is representing you in probate court when a will is being contested or helping you draft documents for powers of attorney for estate planning needs, a skilled lawyer is your best bet for a smoother, less complicated process. From emotionally charged divorces, alimony, child support and custodymatters to business formation and liability protection, I know how to get results! 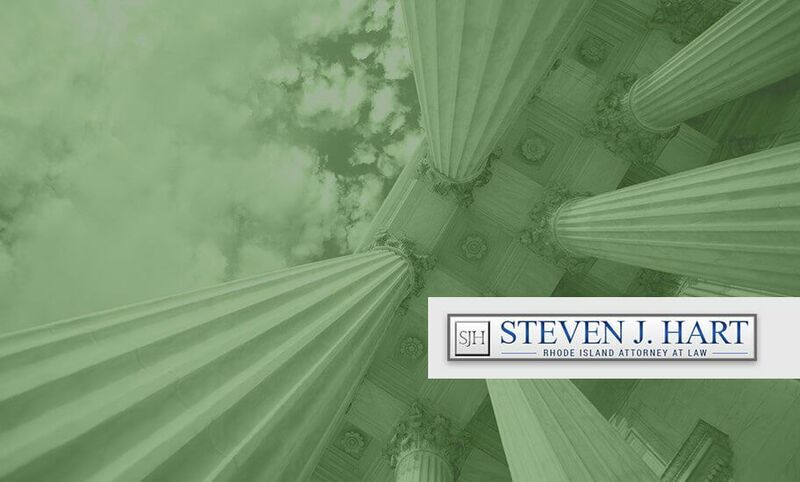 Why Choose Attorney Steven J. Hart? Having worked extensively in various fields of law, I understand the stress involved in any legal situation - big or small. All matters are held in strict confidence. If you need a Kent County attorney, contact me at the Law Office of Steven J. Hart. Whether you are facing charges for a crime, need compensation after an accident, or you are filing for bankruptcy, I may be able to assist you. Having an attorney on your side in any legal situation is crucial for improving your chances for a successful outcome. I represent clients on the belief that no two cases are alike. I work hard to tailor my services to the needs of the case at hand. No case is too big or too small and every client is given the personalized attention he or she deserves. As a qualified attorney, I make sure that every one of my clients understands that I find their case to be of the utmost importance. I dedicate unparalleled attention to every case I take on, protecting the rights and fighting for the freedom of my clients. Whether you are dealing with a criminal matter, personal injury claim, or bankruptcy dilemma, my firm is ready to take a stand for you. Struggling with overwhelming debt or are concerned with what will happen with your finances in the future? I can assist you in the following areas of law, creating an ideal solution for you. Perhaps you are someone involved in a business dispute with your partner or you need assistance fighting against allegations from a tenant or landlord. Allow me to fight for justice on your behalf. Having worked with numerous families throughout Rhode Island I more than willing to come alongside you with matters of family law, divorce and domestic relations, and create the case that is best suited for you. Additionally, I am adept at handling cases of personal injury, whether by means of a car accident or some other negligent action. I will fight for rightful compensation and getting your life back on the road to recovery. Without a knowledgeable and aggressive criminal representative, you could be facing years in prison, thousands of dollars in fines and numerous other penalties, depending on the nature of your accusations. Armed with exemplary legal strategies and willing to do everything in my power to see you obtain reduced or dismissed charges, contact me if you've been charged with a crime.